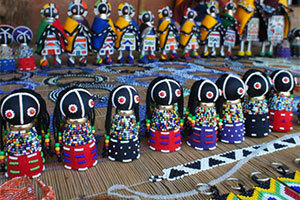 Tour features: History of Humankind, Lesedi cultural Village, Traditional South African Meal. 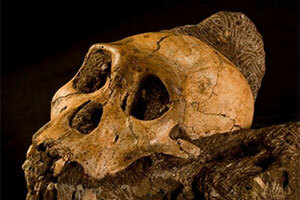 We’re going right back to our beginnings, to the exceptional World Heritage Site of The Cradle of Humankind. 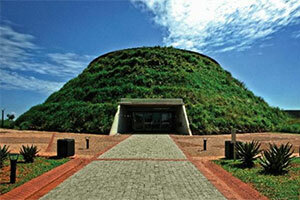 The superb Maropeng Visitor Centre is truly an exciting, world class exhibition, focusing on the development of humans and our ancestors over the past few million years. From past to present, we’ll be exploring five cultures at the Lesedi Cultural Village, heart, and home to families of a range of African tribes, all living harmoniously in traditional homesteads. 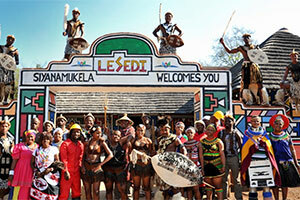 You’ll be right there experiencing the warmth and hospitality of people from the Zulu, Xhosa, Ndebele, Sotho and Pedi cultures, and you’ll find it fascinating! Our multilingual, multi-visual orientation depicts the history of South Africa, and will deepen your understanding of the complexity of our multicultural community. Included Transportation, sightseeing as per itinerary, entrance fees, traditional African meal, services of a registered English-speaking guide. Comments We will enjoy a traditional African meal, a fine way to round off a day of new experiences and fresh insights. Tour operates on Wednesday, Friday and Sundays only.